Has your business been steadily growing and becoming more successful each day? If so, your inventory has probably increased as well. You now have more responsibilities, more workers, and more skills to oversee. Logistics management might be at the forefront of your responsibilities and taking up too much time. 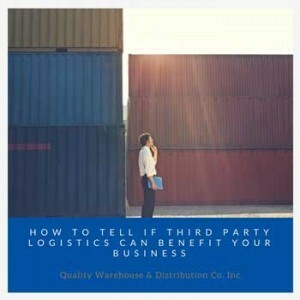 Have you considered outsourcing your inventory administrations to a third-party logistics (3PL) provider? These offer management of your resources like shipping, storing, and pickup. 3PLs also provide quality inspections, product assembly/kitting, and overall inventory control. They could give just one service like warehousing or transportation or they could provide options to manage your whole supply. Third-party logistics are a great option for businesses that have more than 50 SKUs with more than 20 transactions a day. They are there to lessen the daily headaches of increased product management while helping your business grow with their knowledge and experience. 3PL companies have access to a rich network of shipment resources and can group your shipment with others that are going in the same destination. Plus, they know people up and down the supply line and can guarantee volume discounts so you’ll have cheaper shipping rates. You won’t have to worry about product distribution each day, which will free up your time to focus on business. Also, your company will be saving money on shared warehousing facilities, technology, transportation, and staff wages. 3PLs are able to move more products more efficiently so your business can be productive and successful. Growing businesses need the opportunity to expand and adjust. 3PLs can offer flexible space, labor, and transportation to suit your business’s needs.They can also easily transition from season to season based on supply/demand market trends. As for shipping, the distribution centers are located in areas that allow quick shipping to anywhere in the world, widening your product reach to new regions. Partnering with a third-party logistics company should be a win-win relationship. After all, when you do well, they do well. These companies will continue to improve their processes to keep efficiency at an all-time high while staying abreast of market trends and industry practices. They’ll find inadequacies along the supply line with up-to-date management software to maintain productivity. Finding the right third-party logistics provider can be time-consuming and confusing. First, send a request for proposal (RFP) to a few 3PLs to see what they’d charge to do business with you. Then examine these places yourself to see if one is a good match. Don’t be afraid to check references and past clients of a promising third-party logistics provider. Your 3PL should be near the majority of your customer base and major carrier hubs. 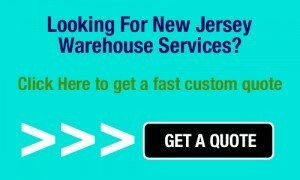 That way you’ll save on shipping and other handling costs. You should find a 3PL that is committed to constantly improving their processes while staying knowledgeable about their industry. These providers should be working for you to ensure the growth of your company. It’s important for both you to be on the same page. The benefits of third-party logistics are endless and could only help your business grow. They should be able to customize and fulfill your inventory needs so you can focus on your company. With extensive knowledge and expertise, they will handle every step of the supply line to maximize optimization.